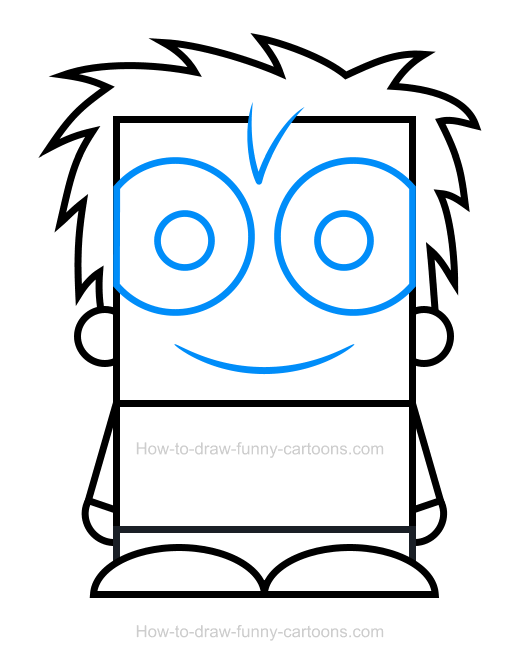 Create a fun child clipart using this simple drawing tutorial featuring a basic character made from rectangles, circles and squares. Children are relatively easy to illustrate. All you need to do is create a head that is slightly larger than usual, draw tiny arms and feet and add vibrant colors to create the perfect kid. Cool! Let's start with the creation of the head using a large square. 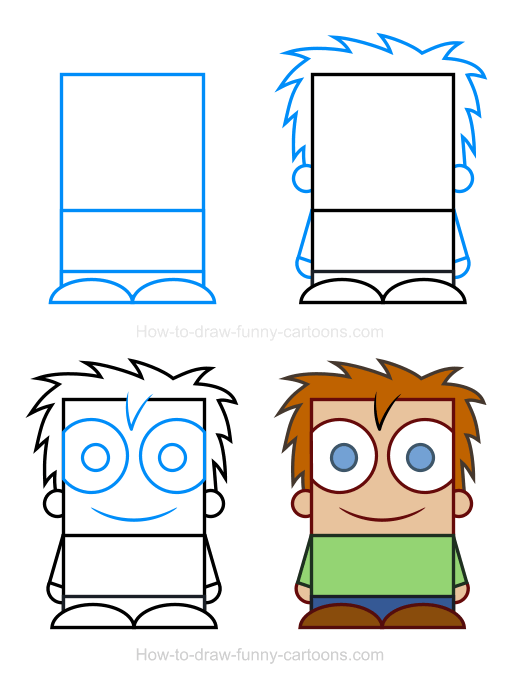 When you are done, draw a small rectangle just below the head. Finally, another small rectangle can be added to illustrate the legs of the child. 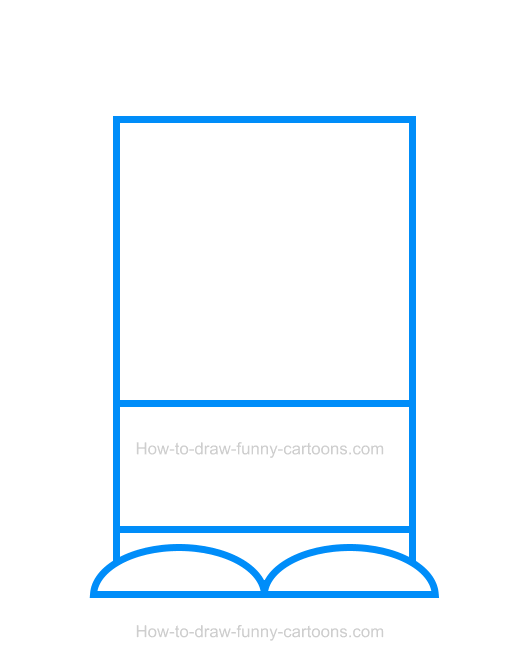 Complete this step by drawing both feet using small oval shapes. 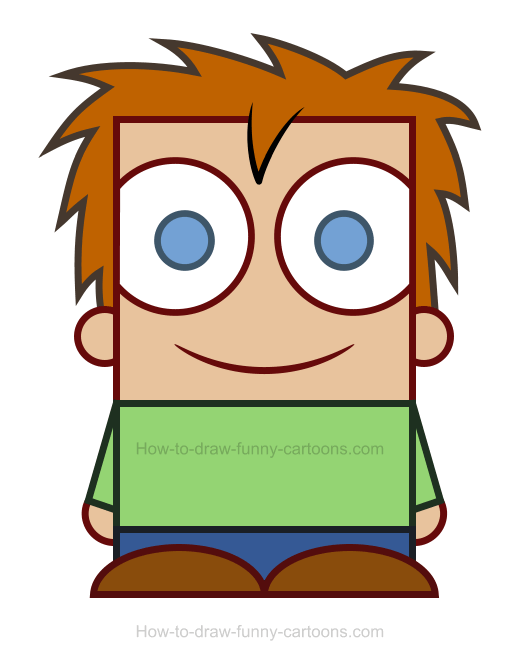 Excellent work creating this simple child clipart from basic elements!